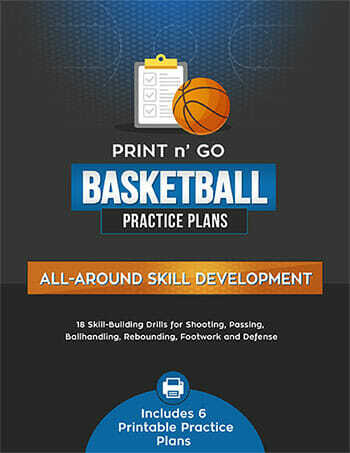 Jeff in Indiana came up with some great suggestions covering basketball footwork drills. Keep ‘em coming! 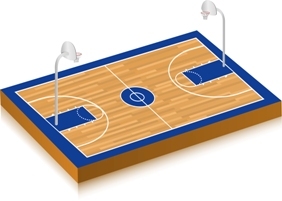 Find a spot off to the side of the gym floor where there is at least five feet of width, running the length of the court. We use the floor space under the bleachers that are pushed back, that way the dots can remain in place for the season. Place five small pieces of electrical tape on the floor in the shape of the five on dice, keeping about two feet in between each dot. 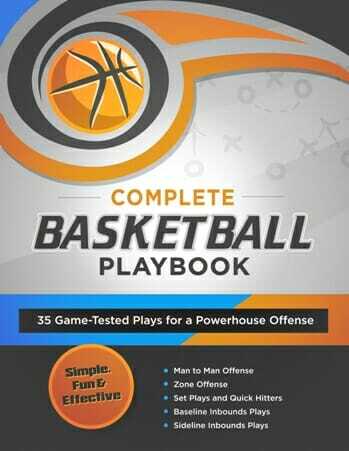 Have enough sets of dots that you can do the [tag]basketball footwork drills[/tag] in pairs, alternating between two players to stay fresh, so if you have ten players on the team, you will need five separate sets of dots. We usually do this after stretching, to get the blood flowing. It’s also a good motivational tool, when the intensity is lacking during practice. The foot drills are hopping from dot to dot, using both feet together, left foot only, right foot only and hop scotch style. We start all [tag]basketball[/tag] players facing the same direction, on the same dot for each set. For the two foot, left and right foot drills, we usually start on one of the two lower dots, jump to the middle dot, then up to the top dot across from where you start, then jump laterally across to the opposite dot, back to the middle, and then the lower dot opposite. Finally, jump laterally back to the dot from which you started. This is done facing the same direction, so there is both forward and backward jumping. Hopscotch is done just like the kids game, where both feet start on the lower dots, then jump coming together on the middle dot, and then spread back to the two upper dots. Jump, reverse spin, start with one foot each on the upper dots, come together on the middle dot and then spread on the lower dots, jump, reverse spin and repeat. 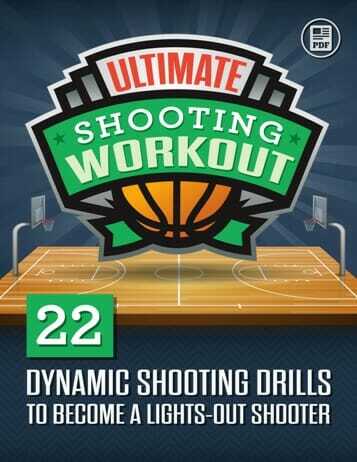 Depending on the conditioning level, we usually run 15 seconds to 30 seconds for each drill. We usually run two sets of each foot style, for eight total rotations per player. This is a good foot work, coordination, balance, and leg strengthening drill. We will set a goal number to complete for each set, or run a timed event to see who gets the most. We may also run it as a timed event, but not a speed event, using it to see who can run the drill the most technically accurate. The drill can be completed in between 5 and 10 minutes.